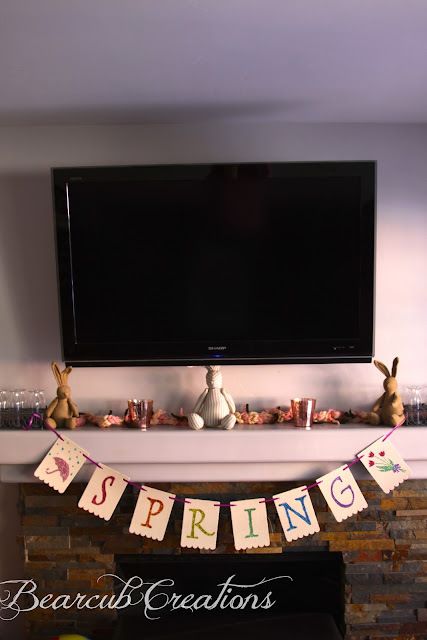 This year, with Easter in March, I decided to do Spring projects and decorations that could go through the holidays and into April and May. I found these cute burlap on cardboard bunting flags in the dollar section at Michaels. I thought they were so fun and would make the perfect bunting for spring. If you can't find these, you could use paper or plain fabric if you wanted to. 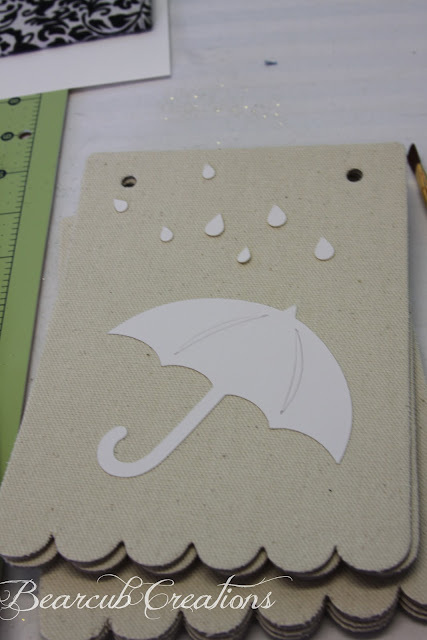 I have also been playing with Silhouettes Double Sided Adhesive a lot lately and am having so much fun. 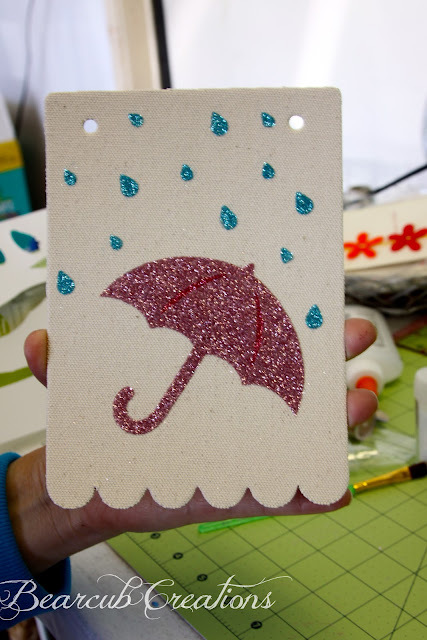 I LOVE glitter and this is the perfect vehicle for it if you don't want to mess with glue or want a more precise shape. I used my Silhouette Cameo to cut out the shapes and letters, . 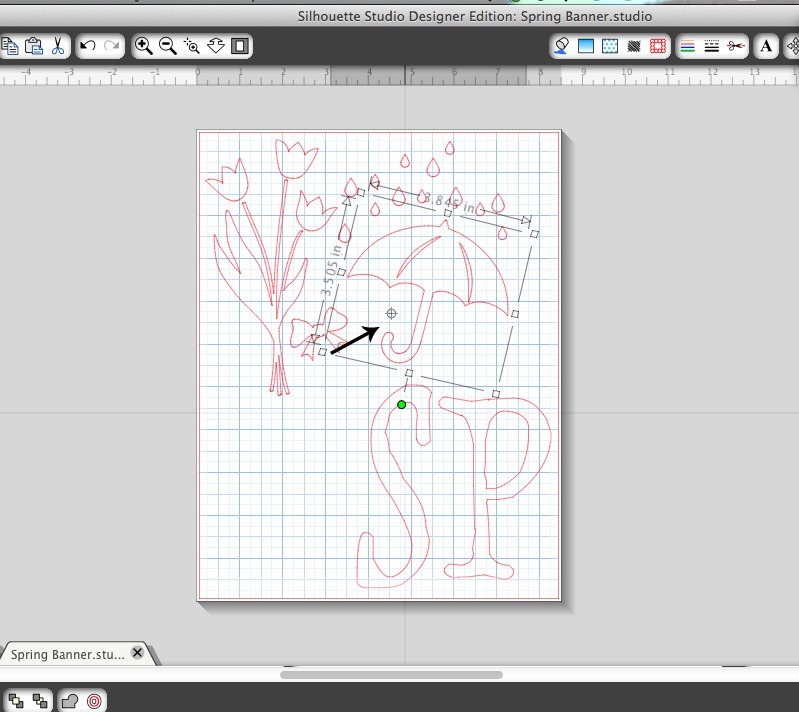 Recently, I upgraded to the Designer Edition of the Silhouette software and it was so helpful for this project. With the regular software, there aren't these great rulers along the edges. I often need to know the exact spacing and measurement of a shape for my projects, and this feature helped me so much. It is a great way not to have too much waste and to make sure the image will fit perfectly onto the bunting. I was also able to manipulate the letters a bit to make them wider and longer. 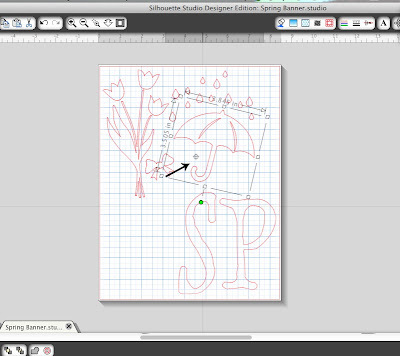 Then I wanted to rotate the umbrella so I Ungrouped the image, which unlocks all parts of the shape (A very handy tool). 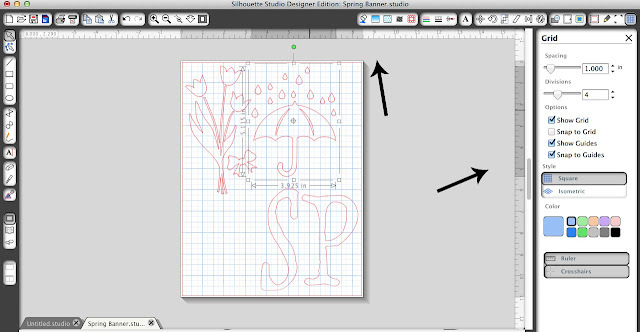 Then, using this very handy pivot tool, I rotates the umbrella. There is so much freedom to manipulate images and import your own images if you wish. 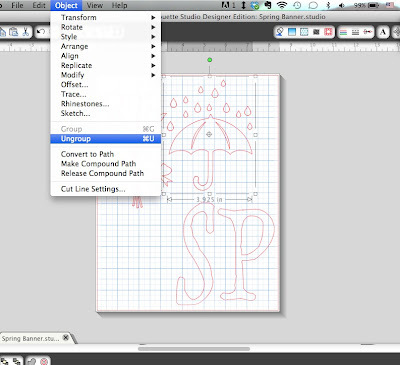 Once the shapes are sized to fit into the space given, the Cameo will cut out the shapes. 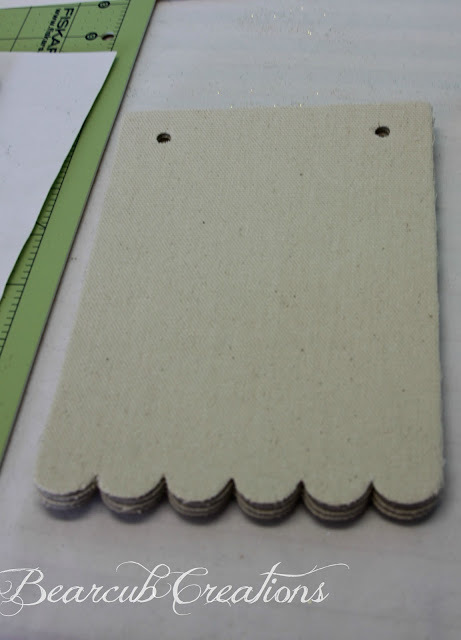 Peel them off the cutting mat and lay the shapes out onto the bunting to make sure they are the right size and position. Then peel the yellow side off the back of the shapes and place them onto the bunting flag. Press and rub to make sure it sticks. It's important to make sure it's really stuck to the flags so that it doesn't come off when you peel the white side. Then peel the white siding off to start glittering. If you are doing a shape that has multiple colors, remove only the white part of the shape you want in that color, glittering the part that is the darkest color first! This is important so that you don't "contaminate" the lighter colors. For the tulips, all the glitter colors were about the same as far as darkness, so we started at the top. As you can see, some of the pink glitter stuck to the stem area, so I used a glue pen to run over that area and glittered the space, and it worked wonderfully! Shake the glitter over the clear sticky adhesive. I found that using my finger to press the glitter onto the adhesive helped it to stick better than anything else. I also rubbed in a circular motion to make sure it all stuck. Knock the glitter off onto a clean piece of paper, tapping the back to get extra off. Make sure the whole space is covered, then pour the remaining glitter into the container so you don't waste it. Continue this process until all the shapes have been glittered. For the bow on the tulips, we stuck the bow on top of the glittered surface. That is the great part about the Double-Sided Adhesive because you can lay images on top of each other. When all the shapes and letters are glittered, string the bunting flags onto a ribbon and it's ready to be hung! This is our Spring Mantel downstairs. So springy and fun! 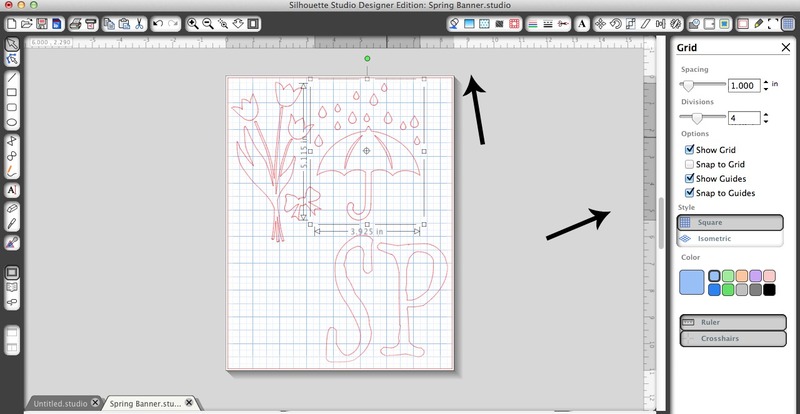 SO...Do you want your own Silhouette cutting tool AND Designer Edition Software? Well, you can right now with a great deal from Silhouette! I LOVE all that I can do with my Silhouette, and can't wait to play with all that I can do with the Designer Edition of the software! I think you would love it too! 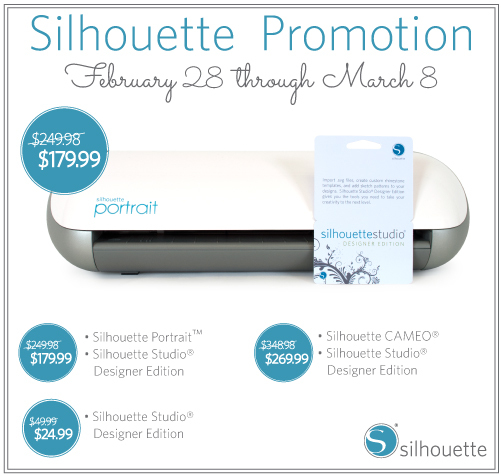 Right now through March 8th you can get a Silhouette Portrait with the Designer Edition Software included for just $179.99 or the Silhouette Cameo with the Designer Edition Software for just $269.99. (Those are GOOD deals!) Already have a machine? You can get just the Designer Edition Software for $24.99, half price! Just use the code BEAR to take advantage of this great offer! This deal runs from February 28th - March 8th! And don't forget the code word is BEAR! So beautiful! Bunting + Glitter...perfect combination! I found you at The Shabby Creek Cottage-- thanks for sharing! 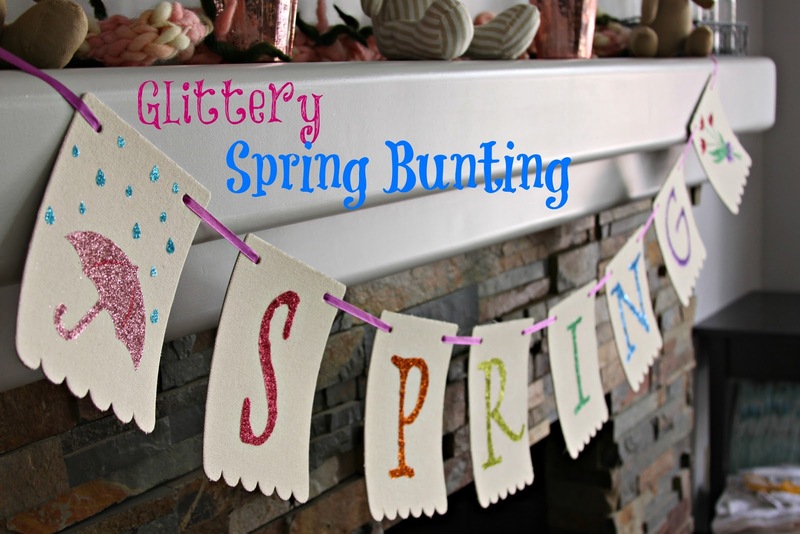 Such a pretty bunting, and it makes me long for Spring. :) Thanks so much for coming by and linking up at Crafty Tuesday. You had me at glitter!!! Love your mantel!!! So pretty! You should share this on my blog this week. 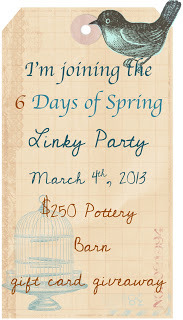 The challenge this week is Spring mantels so you should come link up. The llnk up starts tonight and will go through Friday. Then, our guest judge will pick the winners. Come on over and have fun!